A construction project that caused headaches for thousands of SEPTA commuters is finally complete. NETHER PROVIDENCE, Pa. (WPVI) -- A construction project that caused headaches for thousands of SEPTA commuters is finally complete. 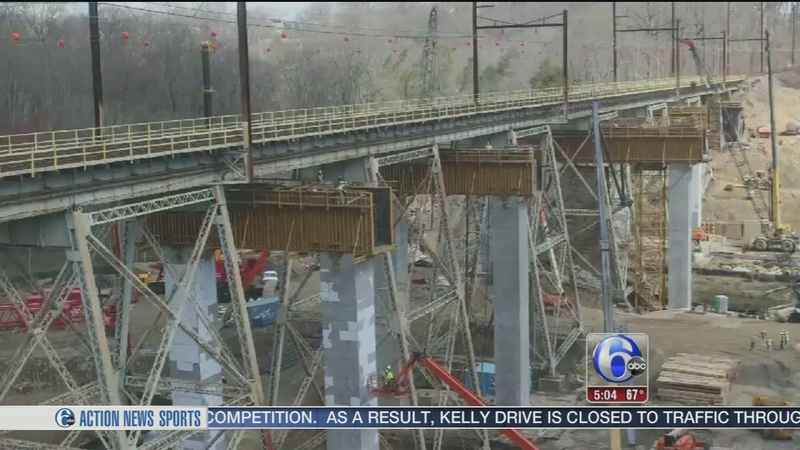 A SEPTA construction project is underway right now in Delaware County that's about to put a wrinkle in thousands of commuters' plans, and starting next week the agency will be looking for your feedback. Regional rail service had to be suspended between Swarthmore and Elwyn for 11 weeks during the summer while the Crum Creek Viaduct was rebuilt. On Friday, officials held a ceremony to celebrate the finished product in Nether Providence, Pennsylvania. The new bridge is designed to last 100 years.